An endearing example of how light and composition can tell a story. 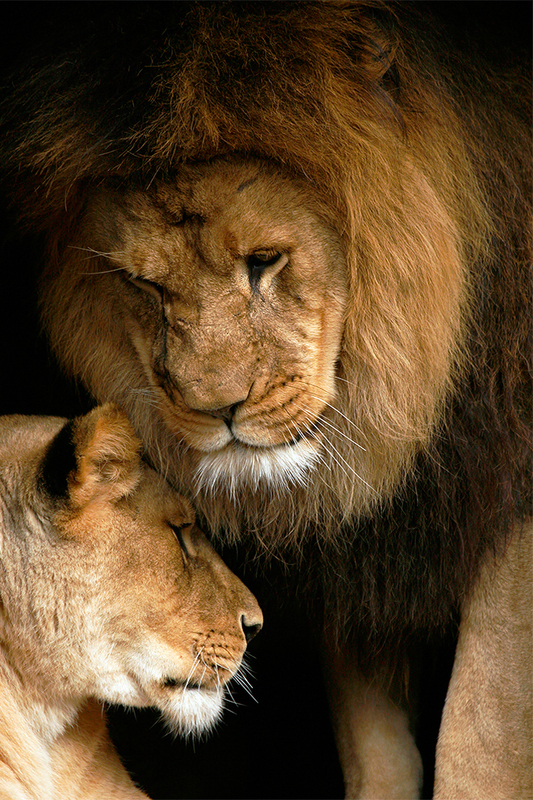 This photograph captures a tender, almost human, moment between two African lions. Known for their ferocity and formidable strength, this capture portrays another side...a sweet moment, revealing a loving prelude.